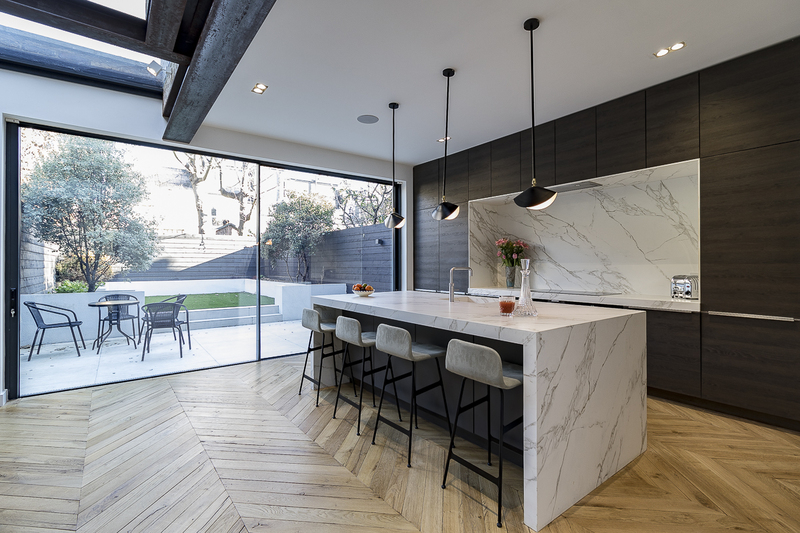 There’s a huge variety in the current market, from natural stones and wood to composites and laminates, to metals, glass and concrete, with factors such as durability, appearance and maintenance to weigh up and consider. So, it’s perfectly fine to feel overwhelmed and almost unable to choose. Picking the right one is not an easy task. Here’s a quick appraisal on the most popular. For those who are looking for something that is easy maintenance but has the real stone look, engineered stone is a great choice. 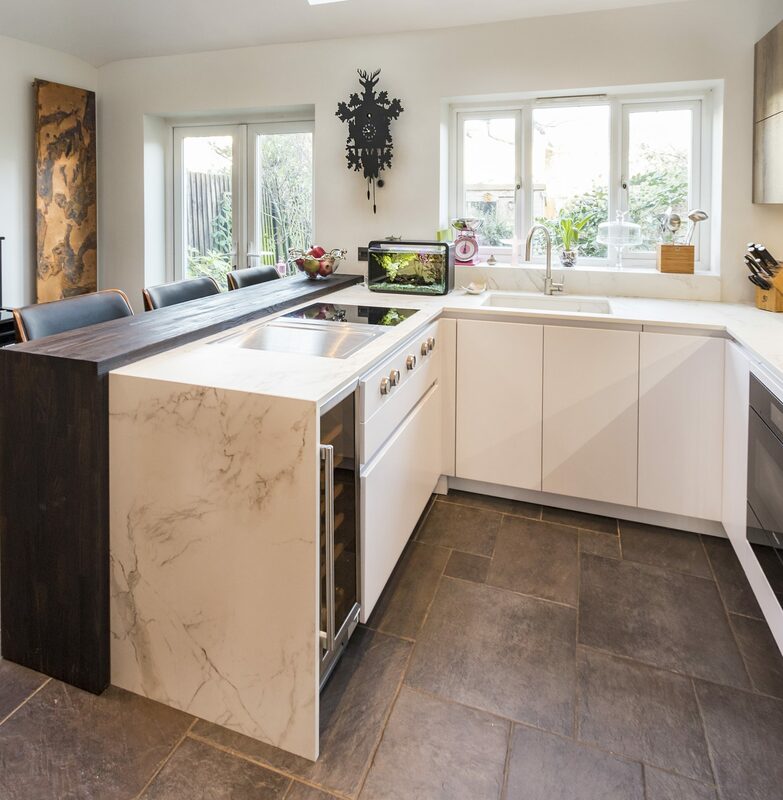 Engineered stone is ideal for those who appreciate the look and feel of natural stone in their Kitchen but want an easier maintenance option. Not everyone wants to undertake the more extensive upkeep that natural stone requires. That doesn’t mean that the quality of engineered stone is inferior to the real stone. The non-porous nature of the engineered stone surface means that cleaning is incredibly simple. With natural stone, the porous surface means bacteria can be absorbed into the stone itself, posing a hygiene risk to users. Engineered stone, however, can be cleaned with a simple spray and cloth combination. 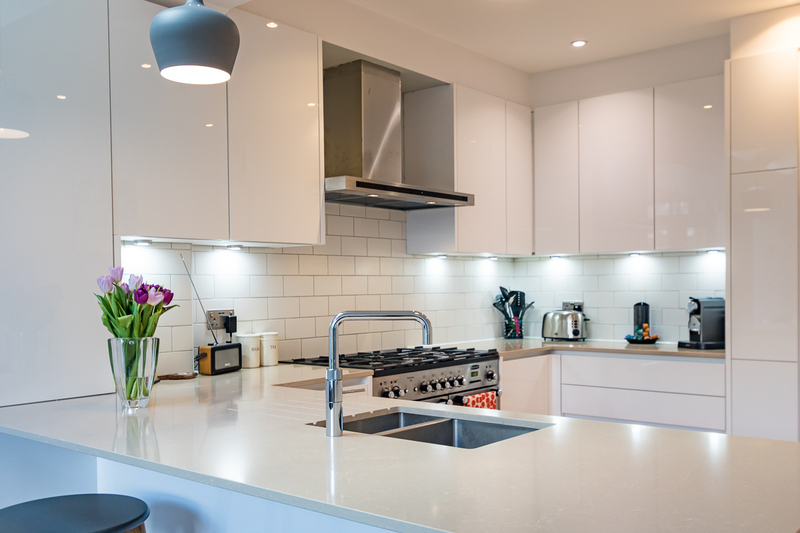 The surface itself is also resilient to stains, as it lacks the porous surface which can be susceptible to things like oil, wine and other stains that can occur when cooking. It’s also resistant to stains and scratches. 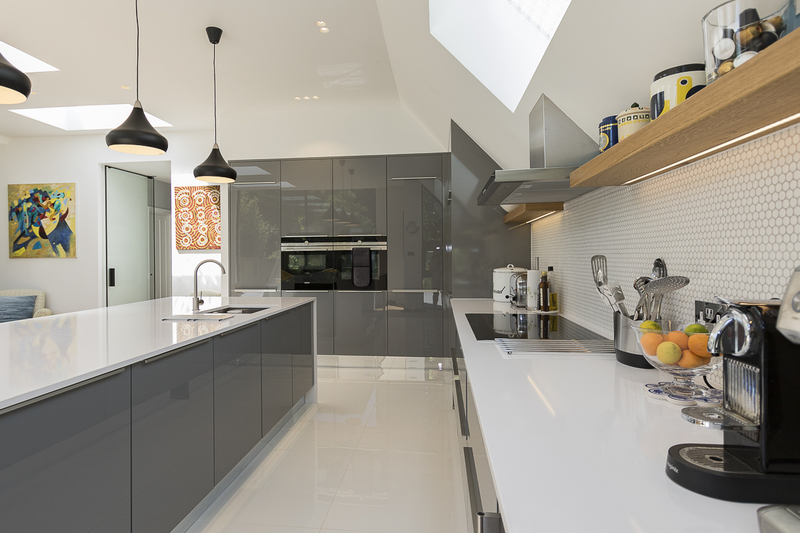 One of the most popular and widely used forms of engineered stone is quartz. Brands like Silestone use quartz as the primary ingredient in their engineered stone countertops and other surfacing products. Another alternative is Dekton, by Cosentino. Dekton is an ultra-compact surface made from a mixture of the same raw materials found in glass, porcelain and quarts. What differentiates it from other engineer stones is the way it is produced. Dekton undergoes extreme heat and pressure and that is what makes this worktop super strong, that is, completely scratches, stains and heat proof. Because it can be manufactured, it offers almost unlimited possibilities in term of designs and is very flexible in terms of size (320cm x 144cm), thickness (between 8 and 30mm) and design. One of the most popular design emulates marble. The veining colour that characterises the marble effect has unique properties. 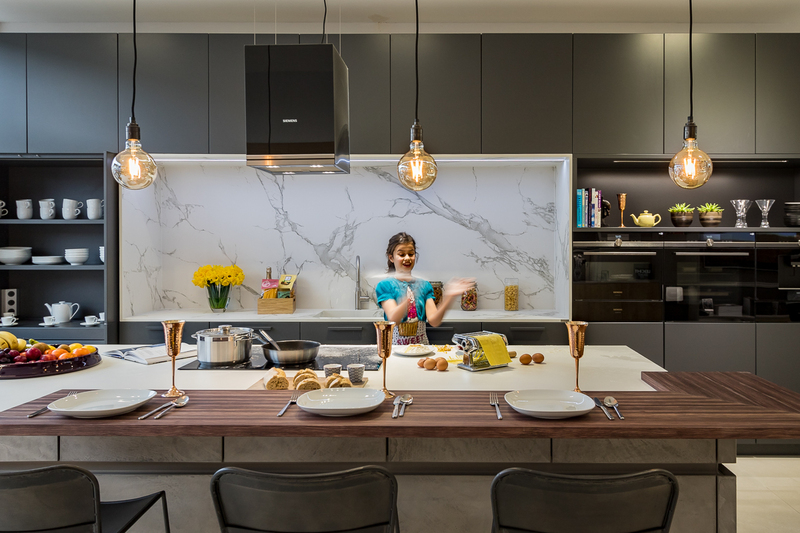 The interesting book match effect, where continuous veins appear carrying on from one slab to the next or from the worktop to the splash back, gives it an outstanding visual effect.  To read more about all the different kinds of worktops available at Richmond Kitchens, click here.